With Joe Ross’ 2018 debut after Tommy John surgery, tonight should have been an opportunity for the Nationals to celebrate the fireballer’s return to the rotation. 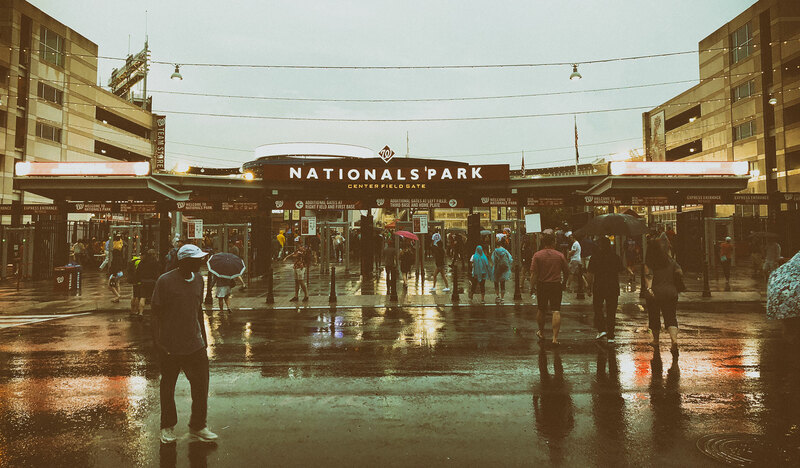 Instead, fans had to wait around for over five hours to find out that all he would get to pitch is 1 1/3 innings before the game was finally called thanks to non-stop lightning and thunderstorms. It should have been called right when they pulled the players off the field. After an initial 1 hour and 21-minute rain delay, Joe Ross faced five batters in the first with only Anthony Rizzo reaching base on a looping single and Kris Bryant, unfortunately, getting hit during the next at-bat. John Lester allowed a single by Adam Eaton and then got Trey Turner to hit into a double play and Bryce Harper to fly out. Ross only saw two batters in the second before the game delay which was called 2 hours and 54 minutes later. Word has it that both teams were frustrated with how this was handled. 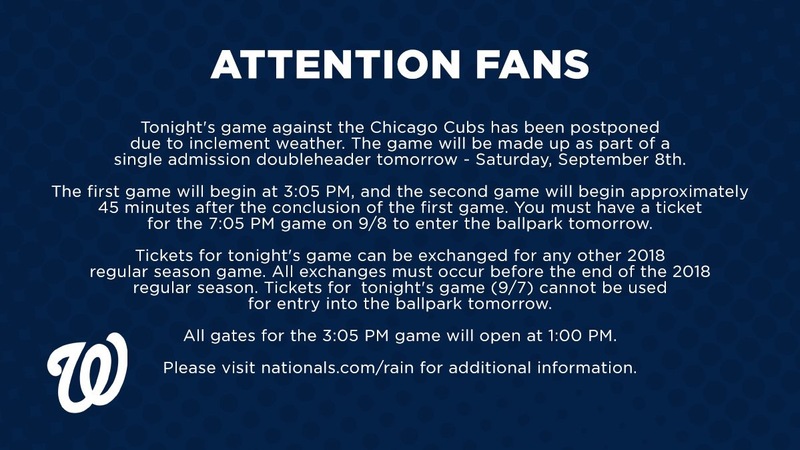 While the game was rescheduled as a part of a doubleheader the next day — which I already had a ticket for — but I couldn’t attend both games. I decided to trade my ticket in for a game later on in the weekend, which got rained out too.